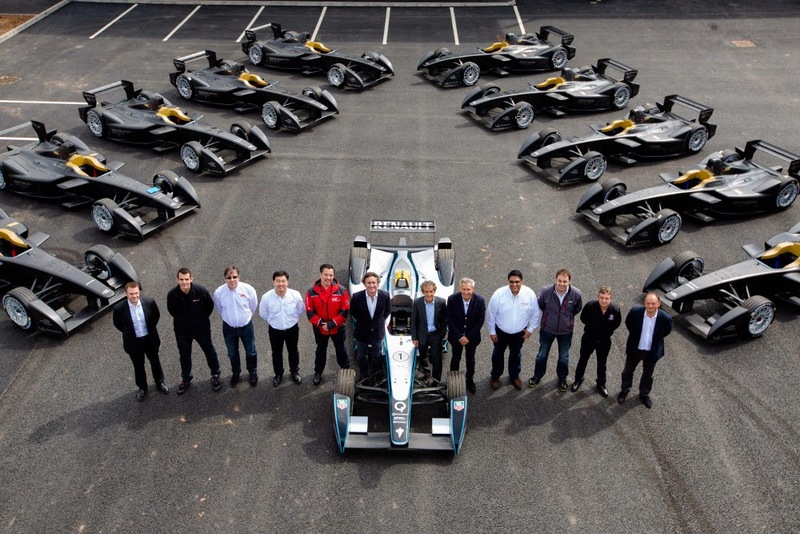 LEICESTERSHIRE, UK (May 15 2014): The 10 teams competing in the new FIA Formula E Championship received their first batch of Spark-Renault SRT_01E race cars today, at the same time as the doors to their new state-of-the-art facilities were officially opened. For more information on Formula E visit www.fiaformulae.com. For further details on Donington Park, including how to register free for pre-season testing, log on to www.donington-park.co.uk.